Here it is our last 2018 FIFA World Cup article. 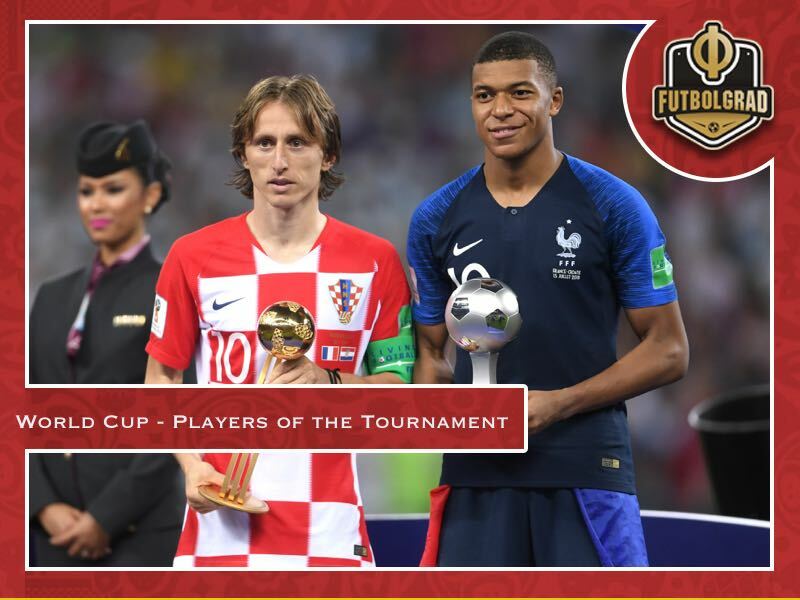 With the conclusion of the 2018 FIFA World Cup, the Futbolgrad Network team asked you, the reader, to vote on the players of the tournament on Twitter. We asked you to pick the best goalkeeper, best defender, best midfielder, best striker and best rookie of the 2018 FIFA World Cup. Here is how you voted. The #WorldCupFinal is in the books. TIme to vote our players of the tournament. Up first the goalkeepers. We got Akinfeev #RUS, Lloris #FRA, Subašić #CRO and Courtois #BEL. You have decided. The Futbolgrad goalkeeper of the tournament was Belgium’s Thibaut Courtois. The Chelsea keeper was one of the main reasons for Belgium’s deep run at the tournament that ended with a third place finish after beating England in the bronze medal match in St. Petersburg. Courtois conceded six goals in seven games throughout the tournament. Four of those goals, however, came in the 5-2 victory over Tunisia and the 3-2 victory over Japan. In both matches Belgium were left wide open at times and in the match against Japan, in particular, it was Courtois’ saves that kept the Red Devils in the match after Japan had gone up by two goals. Brazil and France scored the other two goals. 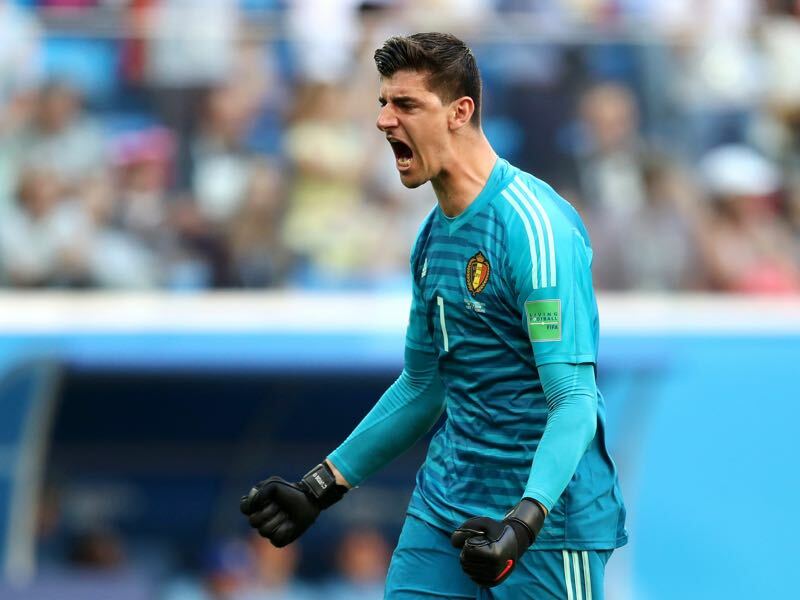 Courtois was among the best players for Belgium against Brazil as the Red Devils produced a massive upset by eliminating the Brazilian Seleção in the quarterfinals of the tournament. Against France, he then conceded the goal that would eliminate Belgium. “I rather lose with this Belgium side than win with this French side,” Courtois later told the press. Belgium played some of the most attractive football at the tournament and were allowed to do so, because of the progressive style of their keeper. With Courtois in goal Belgium were able to play attacking football knowing full well that they had a world class keeper that would back the side up when caught to far forward. Up next our favourite #WorldCup defenders. Trippier #ENG, Lovren #CRO, Mina #COL, Varane #FRA. Who was your favourite? 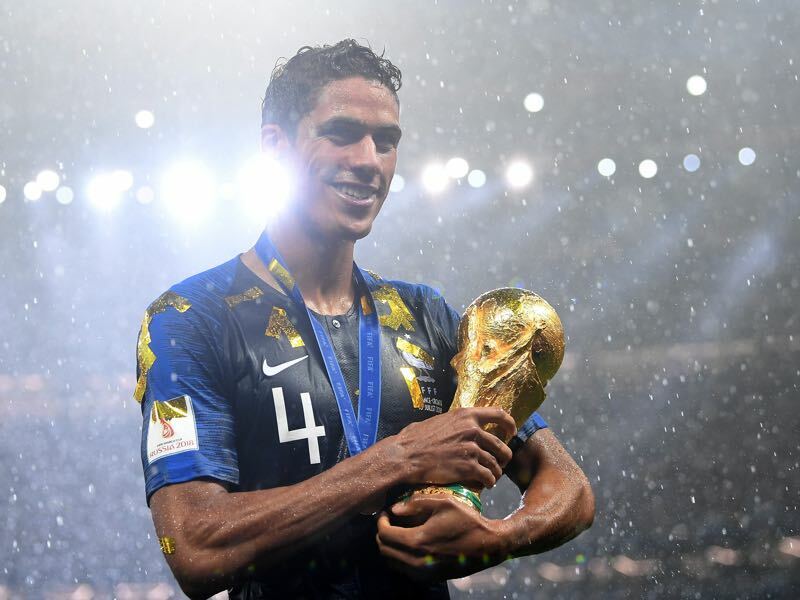 It was a close vote, but in the end, Raphaël Varane beat out England’s Kieran Trippier to take the Futbolgrad Network defender of the tournament award. The defender played in all seven of France’s World Cup matches and managed to score once – against Uruguay in the quarterfinals. France head coach Didier Deschamps was often criticised throughout the tournament for his defensive approach throughout the 2018 FIFA World Cup. Overall, the Equipe Tricolore included perhaps the most fabulous array of attacking talent of any squad at this tournament. France, however, did not win the World Cup based on their attacking mentality but rather by relying on their defensive abilities. It is true that France was involved in two of the highest scoring matches – against Argentina (4-3) and in the final against Croatia (4-2). But the foundation of the squad’s success was the 2-0 victory against Uruguay in the quarterfinals and shutting out Belgium in the semifinal (1-0). Those results would not have been possible without Varane, who had a pass completion of 87.4%, averaged 0.7 interceptions per game and made 6.3 clearances per game, in the seven games he featured for France. Fantastic numbers for a defender, who aged 25 is still coming into his prime. Modrić #CRO, Hazard #BEL, Kante #FRA, Cheryshev #RUS . Vote now on your favourite #WorldCup midfielder. Beaten by his teammate Raphaël Varane in the final of the 2018 FIFA World Cup Modrić’s tournament ended with a major disappointment. At the same time, Modrić managed to guide Croatia to its most significant ever World Cup success outclassing the generation of 1998, which managed to come third at the World Cup in France. Following the final Modrić was awarded the Golden Ball as the best player of the tournament. It was an award justified given the performances by the midfield maestro, who has a difficult relationship with his country at the moment. Caught up in the Zdravko Mamić scandal many Croatians were on the fence on whether they should support Modrić. But as Croatia were struggling in the final the Croatian fans started to chant his name acknowledging that it was due to him that the Vatreni had managed to advance all the way to the final. Playing in all seven games for Croatia Modrić managed two goals and one assist. He also created 1.6 shots on goal per game and completed 87% of his passes – he played 69.3 passes per game and of those 2.6 per game were key passes. But his leadership cannot be measured simply by statistics. 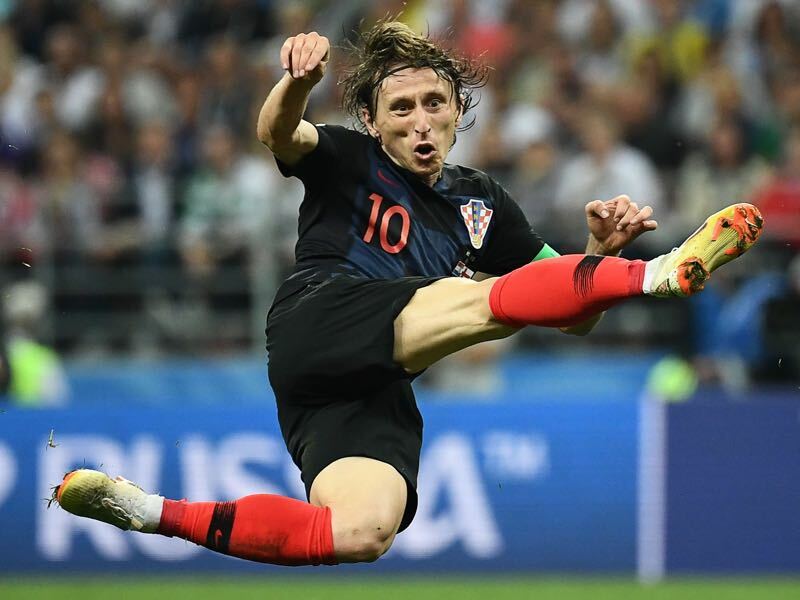 Modrić took control of games when Croatia were in trouble and acted like a metronome setting the pace for a side that three times in a row had to go all the way to reach the final. Here are our favourite #WorldCup forwards. Kane #ENG, Lukaku #BEL, Cavani #URU, Griezmann #FRA . Who was your favourite? This was another very close vote with Edinson Cavani just about beating Romelu Lukaku and Antoine Griezmann to win the 2018 FIFA World Cup Futbolgrad Network forward of the tournament award. 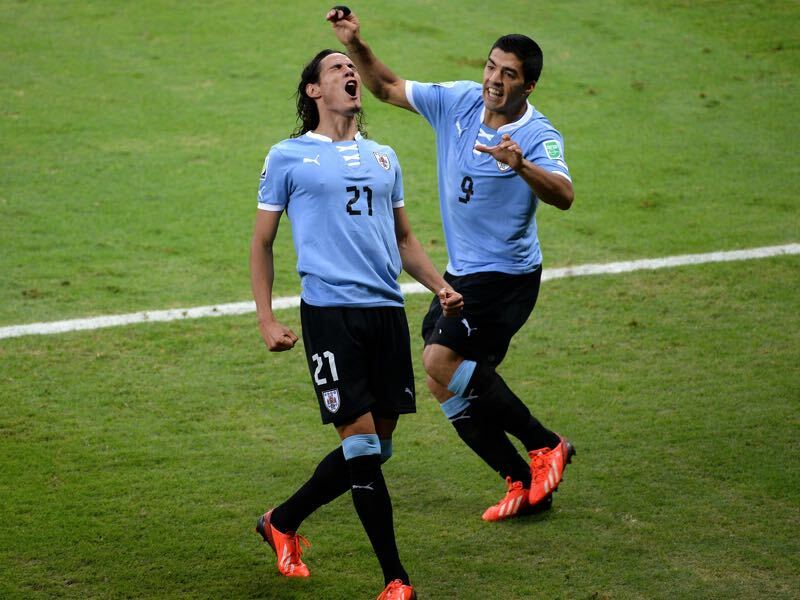 Cavani played in four of Uruguay’s games to score three goals. His most heroic performance came against Portugal where Cavani, visibly injured, scored two goals to eliminate Cristiano Ronaldo and Portugal. In the end, Cristiano Ronaldo had to help Cavani, who was visibly in pain, off the field in the 74th minute. Uruguay would hang on to win that match and advance to the quarterfinals where they faced France. We will never know what would have happened if Cavani had featured in that game. The tall striker from Paris Saint-Germain has almost a blind understanding with his national team partner Luis Suarez. In 105 games Cavani has scored 45 goals for his country. There is no doubt that Uruguay are one of the most challenging teams in the world to play against when both Suarez and Cavani start together. But with one of the two missing it becomes much more comfortable for the opposition to shut down La Celeste, which is exactly what France did in the quarterfinals of the tournament. Finally, our choices for rookies of the tournament. Mbappe #FRA, Pavard #FRA, Golovin #RUS, Lozano #MEX. What do you think? This was the most decisive of all the polls run as part of our Futbolgrad Network 2018 FIFA World Cup players of the tournament. Kylian Mbappé took 71% of the vote to easily take the title ahead of Aleksandr Golovin, Benjamin Pavard and Hirving Lozano. In the round of 16 match against Argentina, the 19-year-old French forward became the first teenager since Pelé in 1958 to score twice in a World Cup knockout match. Mbappé also scored the winner against Peru during the group stage and then added another goal in the final against Croatia to finish the tournament with four goals and one assist. Overall, Mbappé had an unbelievable tournament. The French teenage sensation managed to score the four goals with just 1.1 shots per game making him among the most efficient goalscorers at the tournament. But even when he did not score Mbappé was a threat. Managing 4.6 dribbles per game Mbappé constantly threatened the defensive lines of France’s opponents creating space for his teammates. 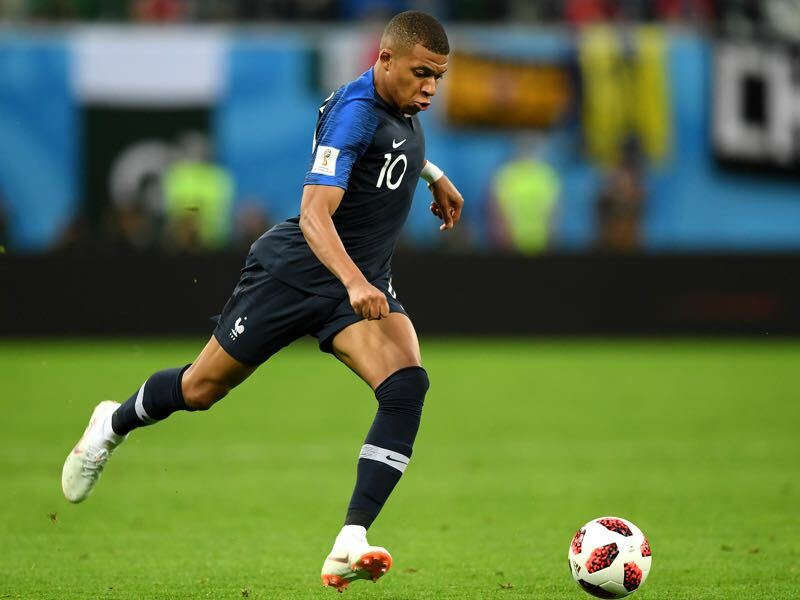 Finally, with head coach Didier Deschamps pragmatic approach Mbappé was often the first defender in France’s set up hroughout the tournament. The 19-year-old handled that pressure without any problems showing maturity beyond his age. Mbappe, in my opinion, established himself as a distinct player throughout the tournament. His pace, strenght and ability to carrying the ball were, simply, unbelievable. To sum up, it was a pleasure to watch him. Do you think Mbappe is already the next star of football or is it just to soon to think that?